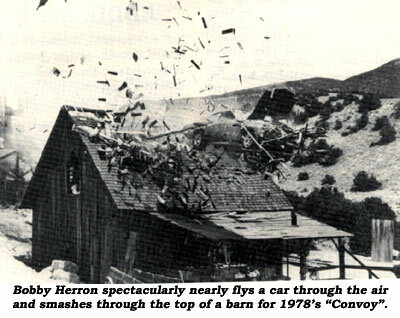 Bobby Herron has been one of Hollywood’s top stuntmen for almost 50 years and is still going strong. Born September 23, 1924 in Lomita, CA, Bob grew up with his father in Hawaii. After a divorce, Bob’s mother stayed in California and married Ace Hudkins, the famous supplier of horses to films. 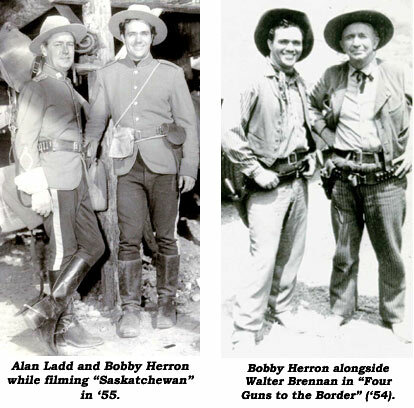 With the family renting horses and rigs to the studios, after Navy service in the South Pacific, Bob started wrangling horses for his stepfather, Ace, on movie sets in 1946, soon deciding there was more money to be made in front of the camera doing stunts. 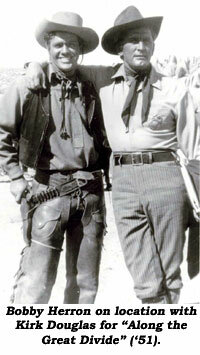 On his first job, “Rocky Mountain” (‘50) with Errol Flynn, Bob was both an Indian and Cavalry trooper being shot off horses many a time on location at Gallup, NM. 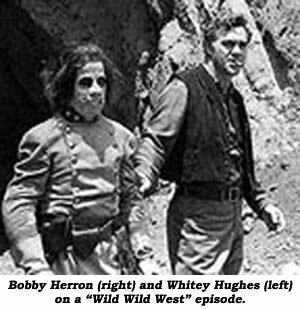 Bobby stunted and acted on “Wild Wild West” and doubled for Ross Martin throughout the run of the series except for four months when he went to Mexico to double for Ernest Borgnine on Sam Peckinpah’s “The Wild Bunch”. 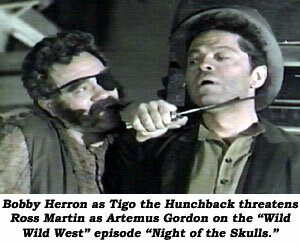 He doubled Borgnine in several other films as well. ewan”, “Man From Bitter Ridge”, “Major Dundee”, “Paint Your Wagon”, “Westbound”, “Mole People”, “Convoy”, “Rio Bravo” (“I played chess with John Wayne on the set. He was good but very impatient.”), “Naked Gun”, “Hawaiian Eye”, “Zorro”, “Petrocelli”, “Gunsmoke”, “Dundee and the Culhane”, “Laredo”, “River of No Return”, “Gun Fury”, “Oklahoma Crude” (“I fell 55 feet off the top of an oil derrick into a stack of boxes with a canvas cover.”), “Pale Rider” and many, many more. 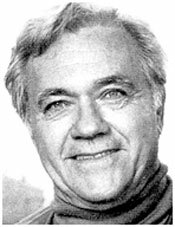 Bob doubled for Mills Watson throughout the entire run of the “Sheriff Lobo” TV series. Bob Herron performed his craft for half a century. It takes a little bit of luck to last this long in our profession, but it is mostly Bob’s expert physical ability that allowed him to become one of Hollywood’s top “action actors”. Bob Herron is one of the finest gentlemen I’ve known in this business of movie making.